The University will hold a service of remembrance on Friday, 9 November to honour staff and students who died in the First and Second World Wars and other conflicts. The service will take place at the Victoria Gallery and Museum. 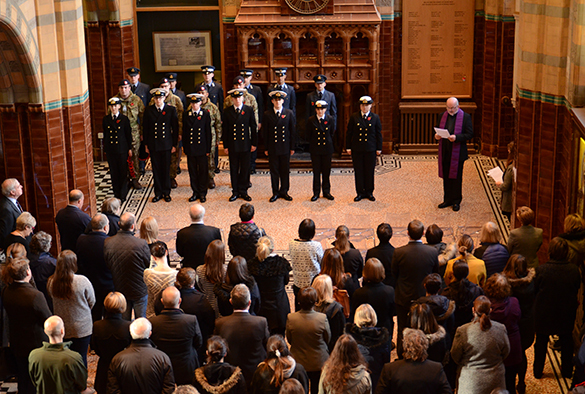 Staff and students who wish to join the service should gather near the memorial on the ground floor of the building at 10.45am. For further information on the service at the VG&M, please contact Sara Cooper, email: events@liverpool.ac.uk or call 0151 795 0447.